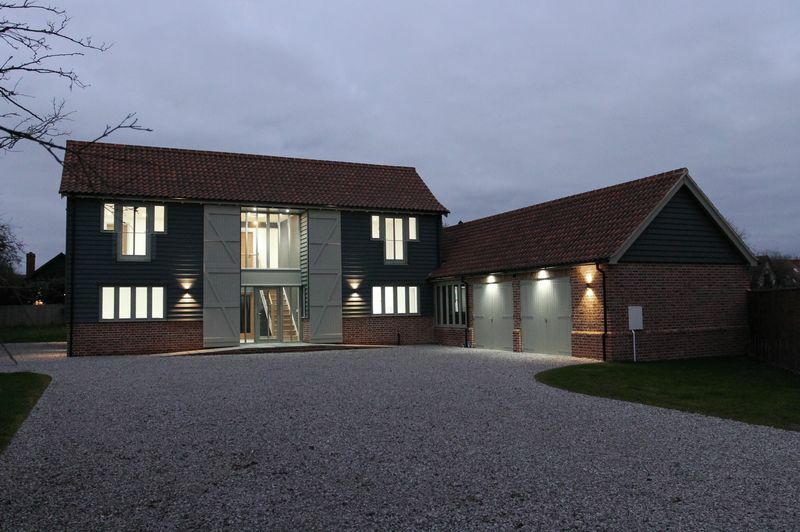 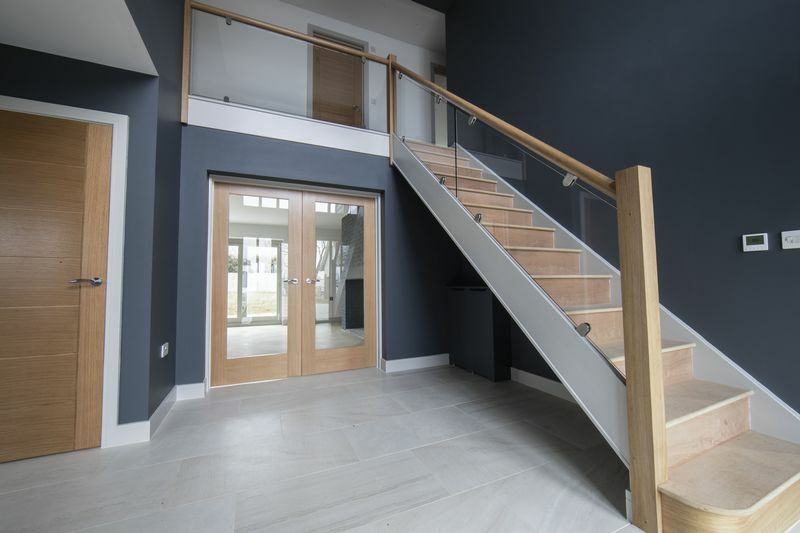 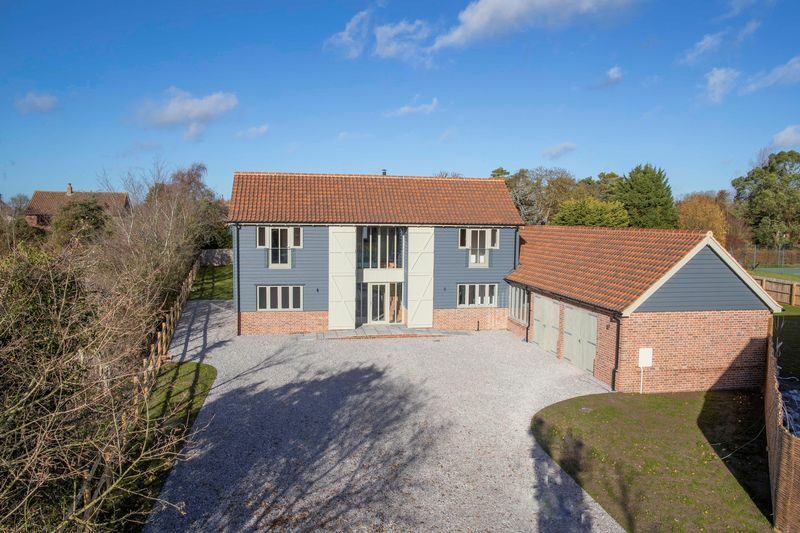 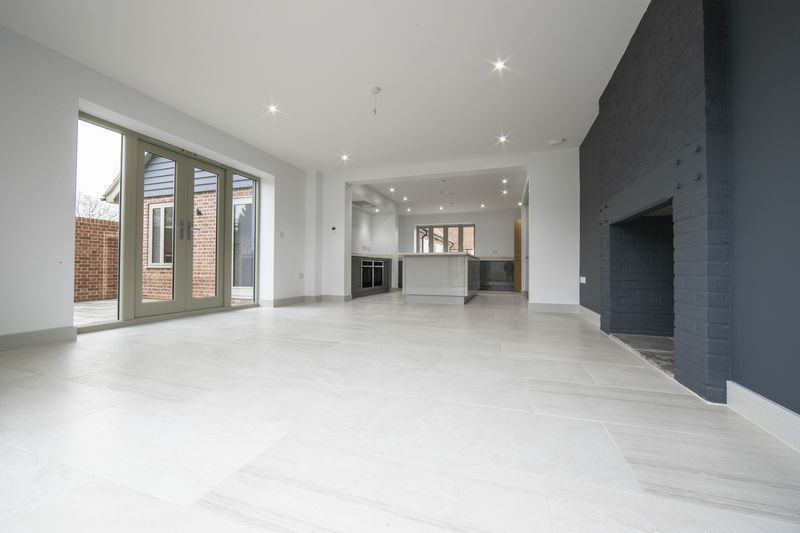 NEW BUILD- A Contemporary 'Barn Style' home in an exclusive development of just two properties, situated on a country lane in the popular village of Shimpling. 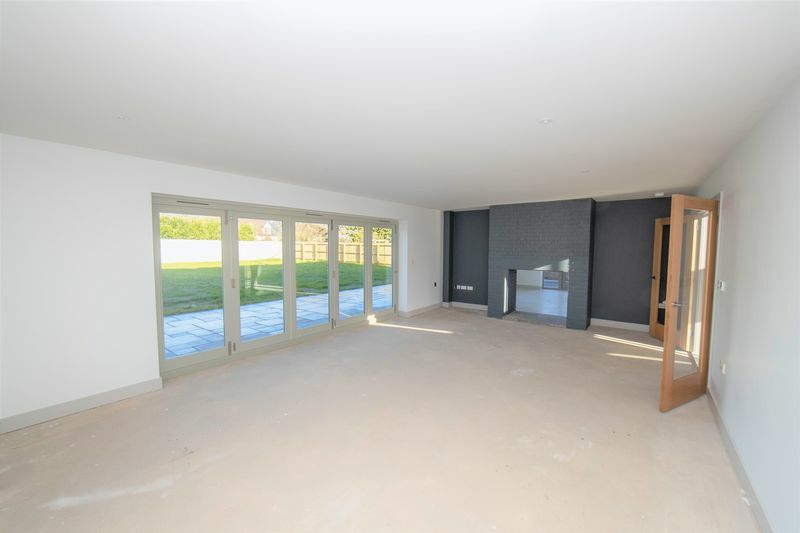 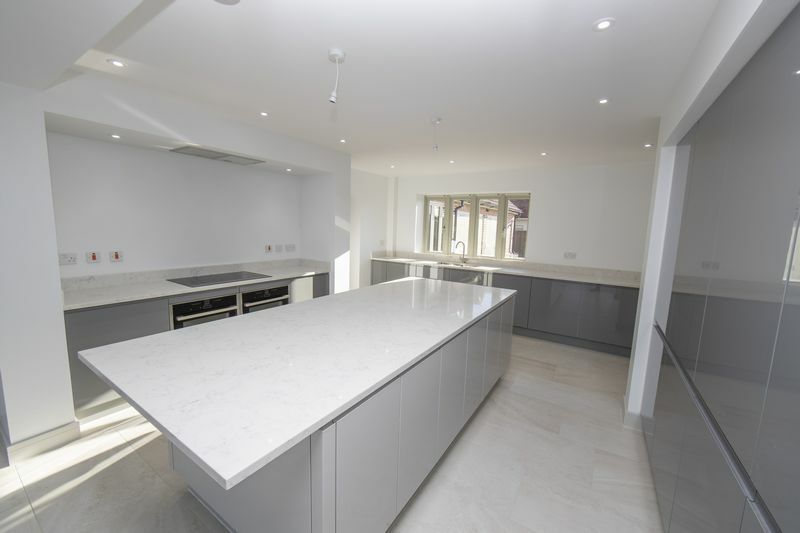 The property offers flexible, family accommodation to include an open plan entrance hall, dining area/snug, modern fitted kitchen/family room with integrated appliances and bi-fold doors leading to the rear garden. 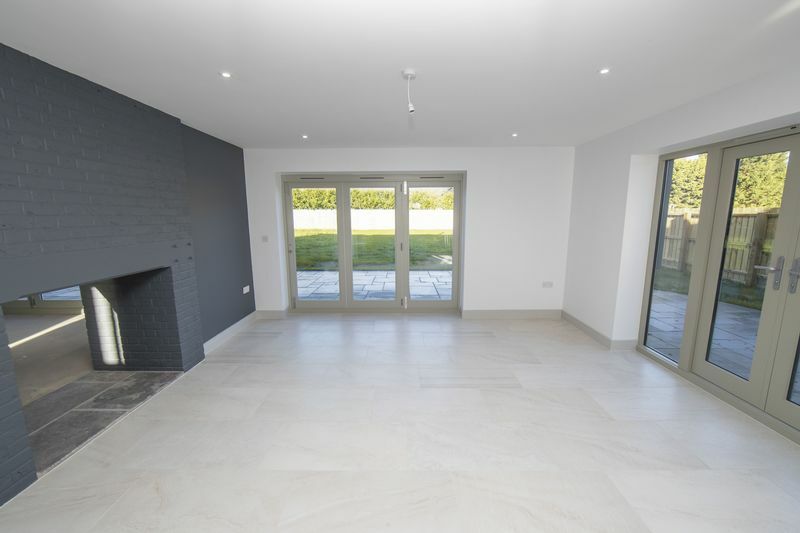 The sitting room also benefits from bi-fold doors and a dual sided fire place into the family room. 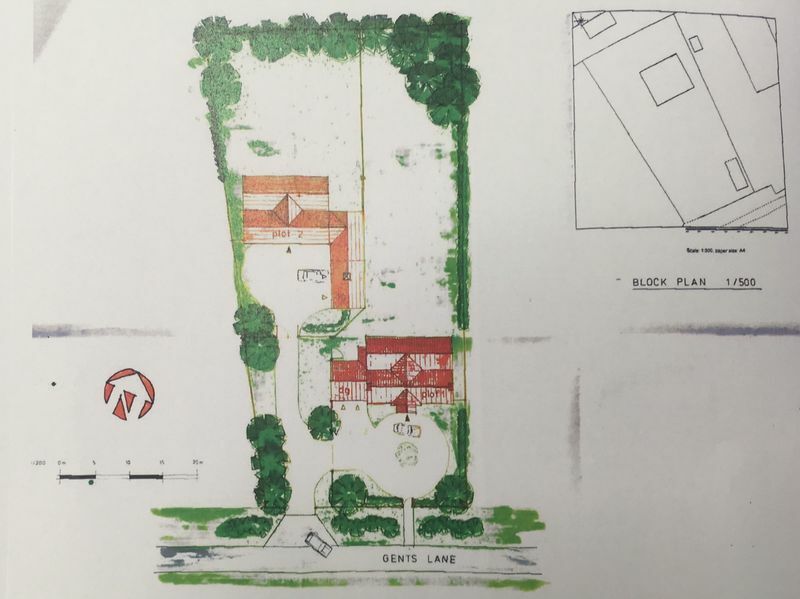 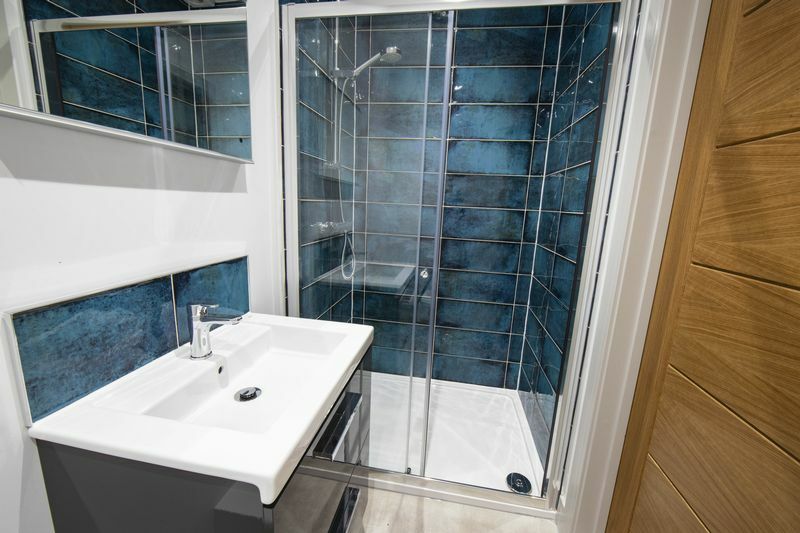 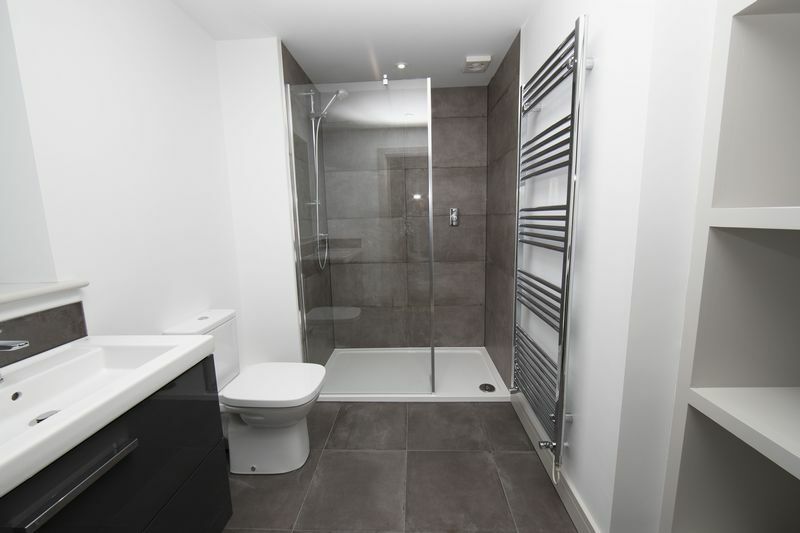 There is a cloakroom, utility room and a bedroom five/study with an en-suite shower room. 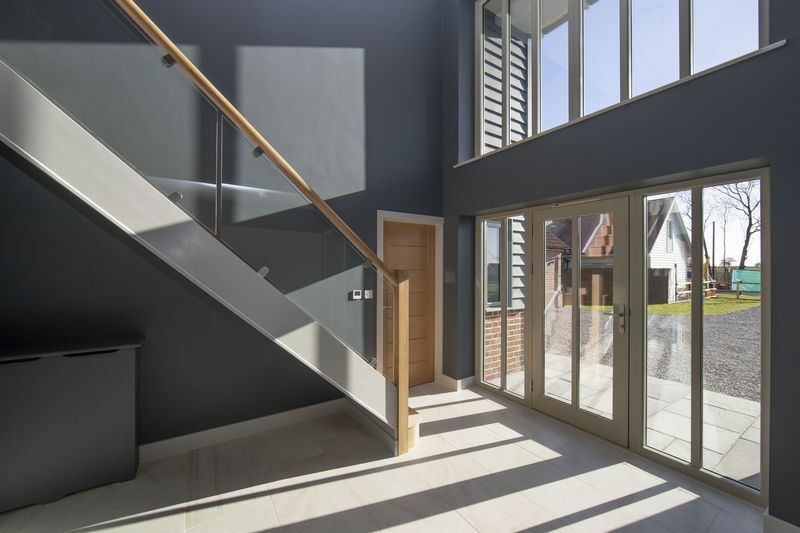 On the first floor there is galleried landing with four double bedrooms, four en-suites and a family bathroom. 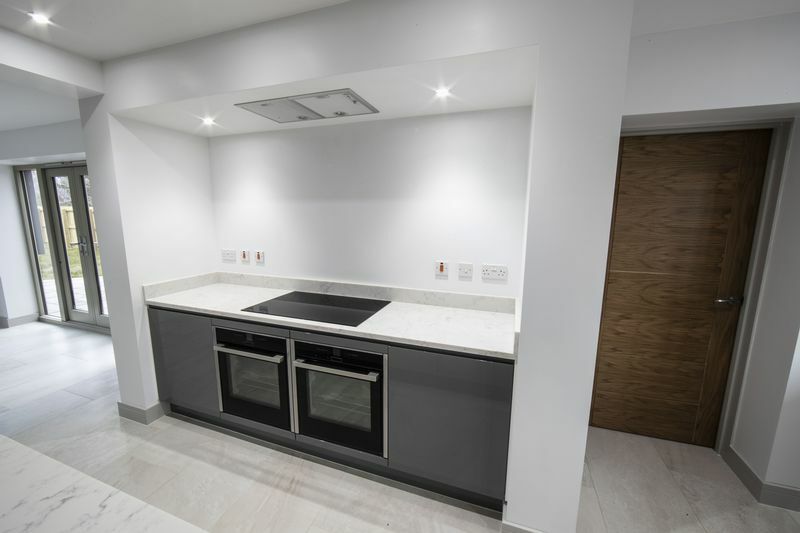 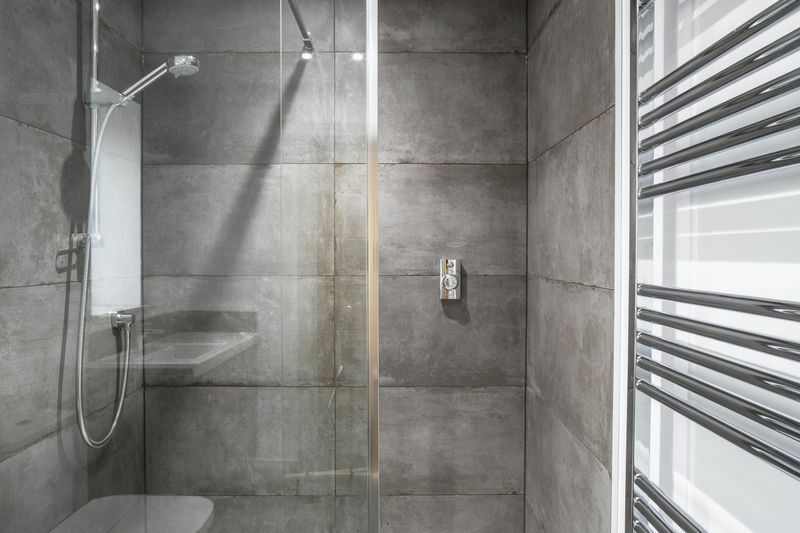 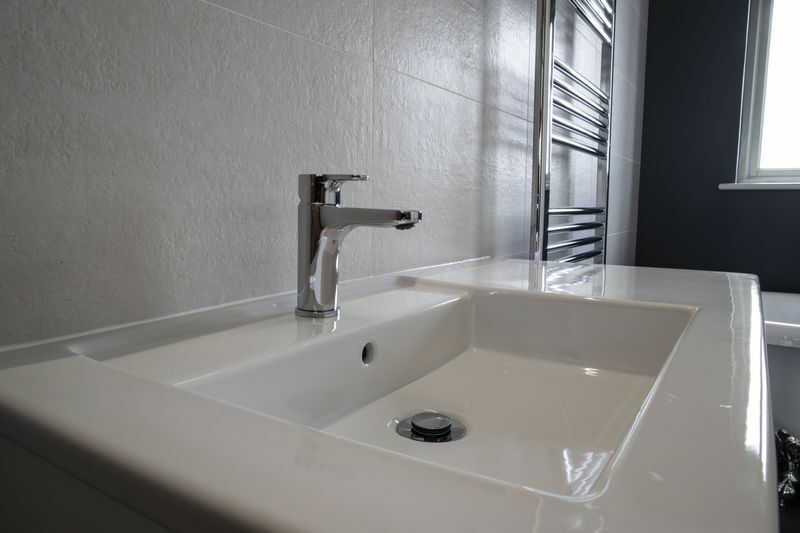 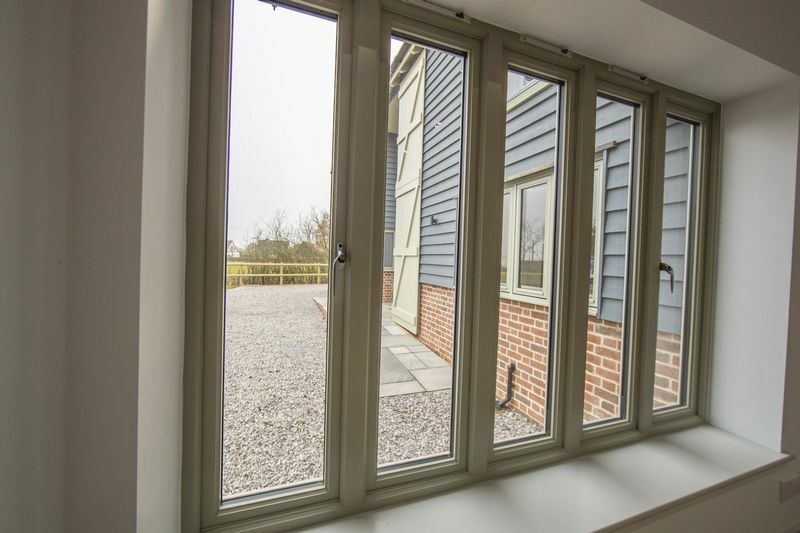 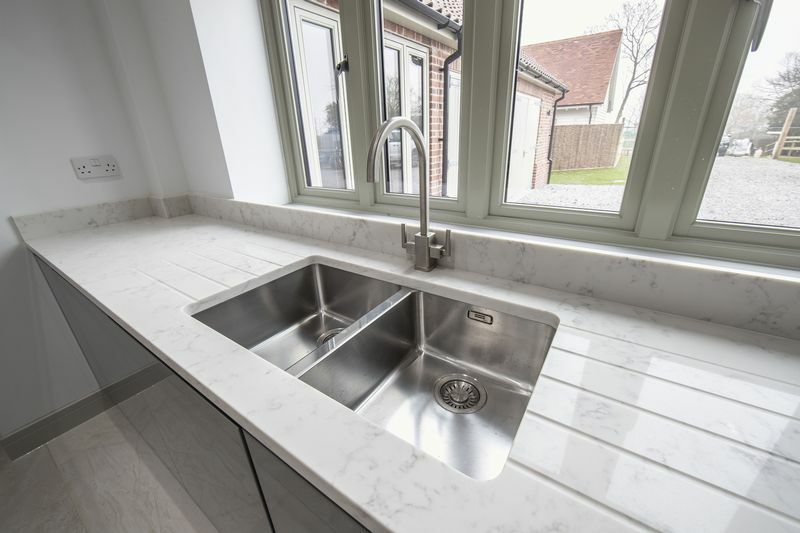 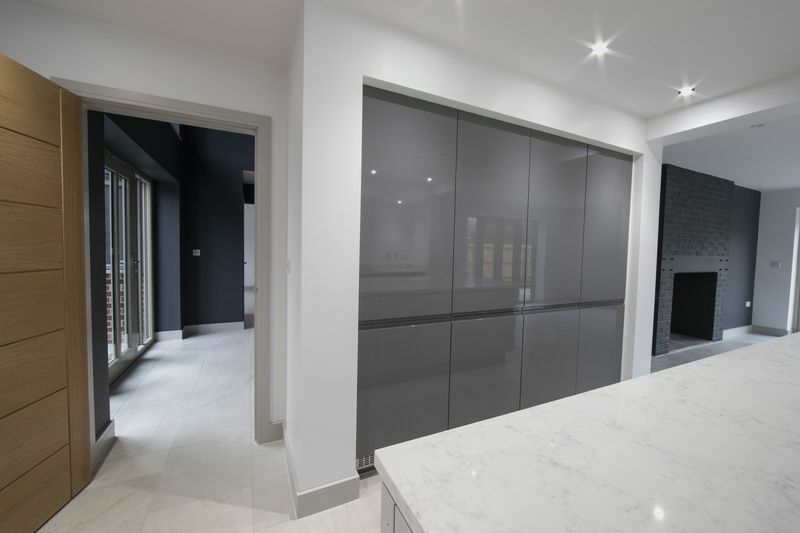 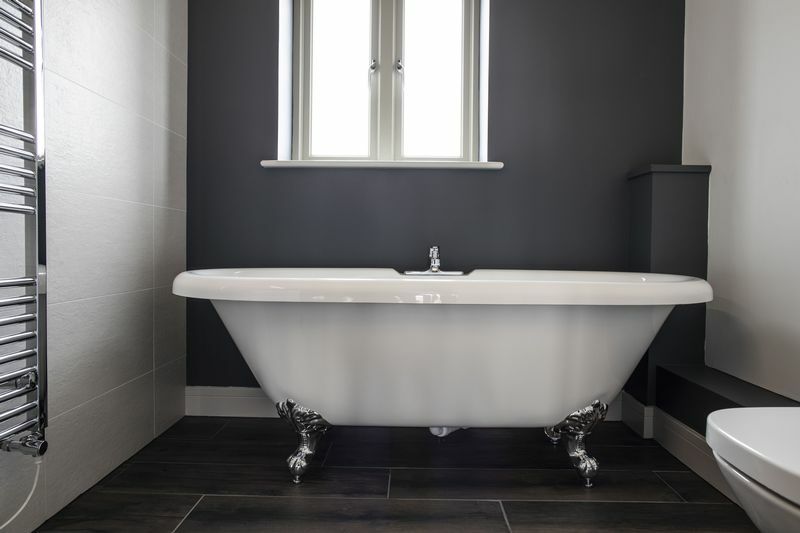 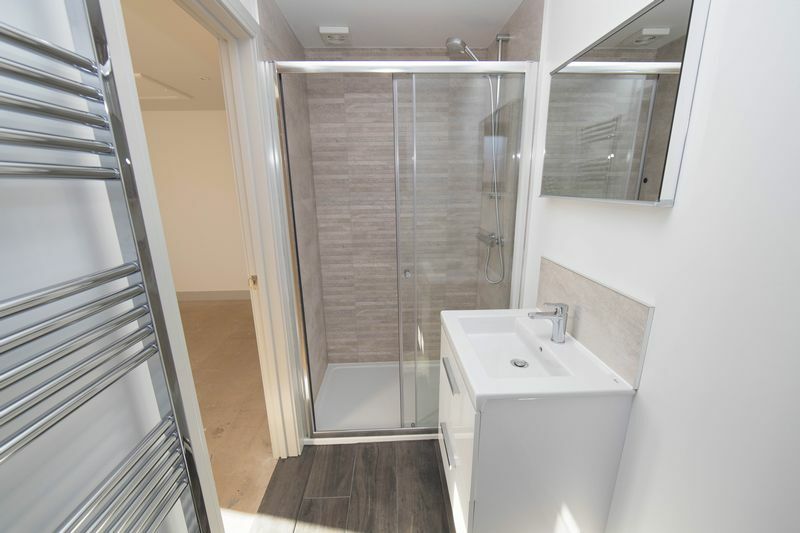 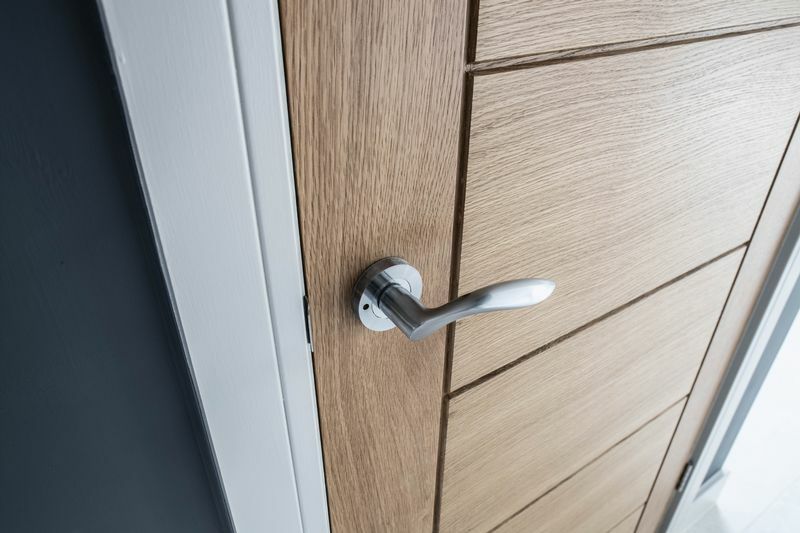 The accommodation is finished to a high standard and benefits from oil fired underfloor heating on the ground floor and radiators on the first floor. 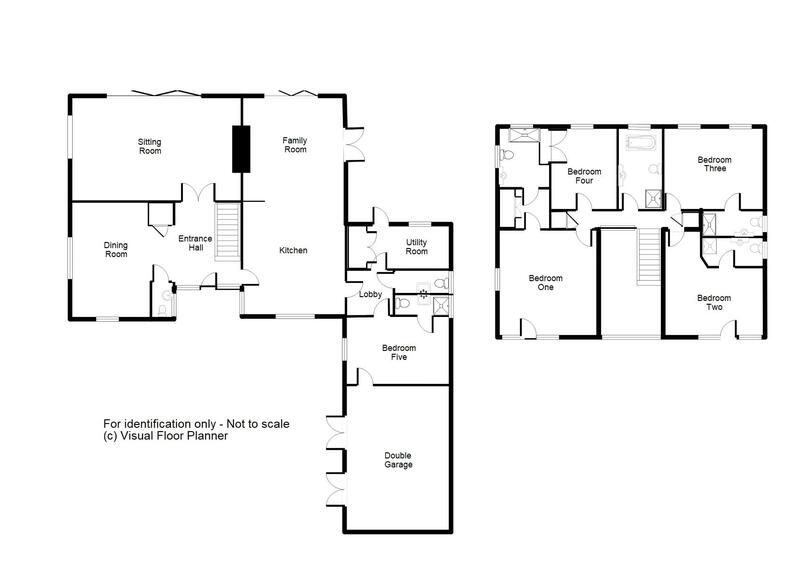 Outside to the front you will find a gated driveway leading to an attached double garage. 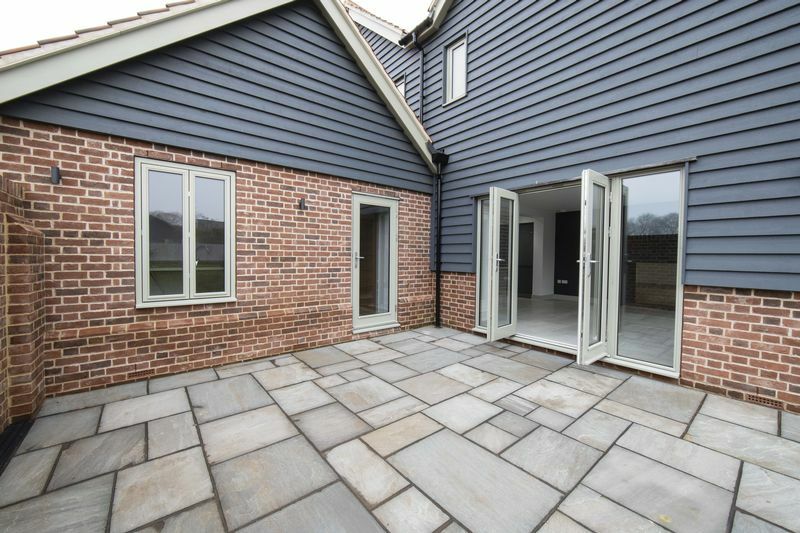 To the rear there is a good sized, enclosed rear garden laid mainly to lawn with a large patio area.